This is how the conversation goes when my husband and I go to buy anything for our home. Wife: “High maintenance. Will get dirty. Chalo, let’s check out some place else.” And the weekend saga continues…. Buying furniture is not a life altering decision but don’t most of us act like it is :) And it can take eons to settle on the perfect corner table, often buying the first one we set our eyes on, but only after we’ve scoured a dozen other shops, right? But here’s a duo who have patiently sat through hundreds of such conversations between couples, waiting to pick up the conversation after the dust settles, and encouraging them make to make the right choice. Welcome to Soulscape. Meet Shweta Gupta and her team. Located on 12th Main Indira Nagar, not too far from the iconic 100 feet road, is a contemporary lifestyle store called Soulscape. Started four years back, the brand has carved a niche for itself in its segment. When I asked Shweta what the segment was, she had an interesting reply, ” it’s somewhere in between the premium luxury range and the one that caters to masses. “ And, that’s quite a big segment going by the size of the urban middle class with a deep passion to deck up their abodes tastefully. I visited the store and came back inspired. Here’s a quick low-down on the store, its decor, and offerings. The store showcases a wide range of customisable modern furniture from sofa sets, ottomans and side tables to magazine racks, compact storage units and shoe racks. Numerous artefacts pepper up the place to give it a touch of stylish elegance. 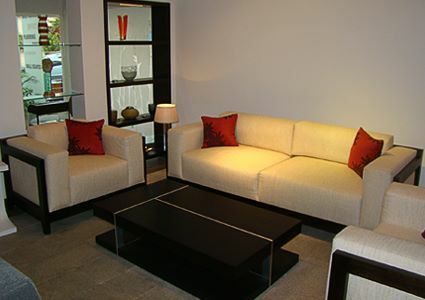 The furniture designs, although modern in design, are a unique blend of comfort and style. Materials range from solid wood and glass to leather and fabric. 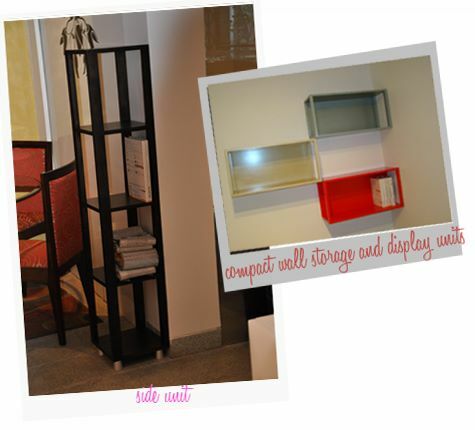 There is a plethora of aesthetic storage options. A dedicated in-house team of designers craft every piece found in the store. More often than not, we are swayed by the setting in large showrooms that lures us to pick a piece of furniture; it’s momentary temptation. But, when you get it home and realise that it doesn’t really fit in a real apartment, it’s too late. The damage to plastic money is already done. What I liked about it is the fact that it is housed in a magnificent bungalow with a simple floor plan. There’s no illusion of space; the room sizes are realistic which makes it easy to visualise like the room in your apartment and decide if there would be enough walking space on either side of the bed, or if a 3-2-1 sofa would look too cluttered in your living room: maybe all you need is a 2 seater and a single seater. “One size fits all” is not their mantra. Not all rooms are alike and symmetric. 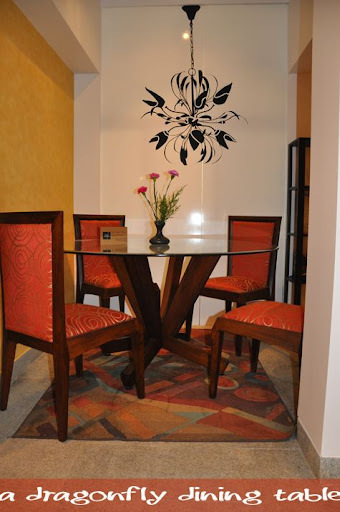 Design advice to help you pick the right dining table or a couch comes backed with years of expertise here. 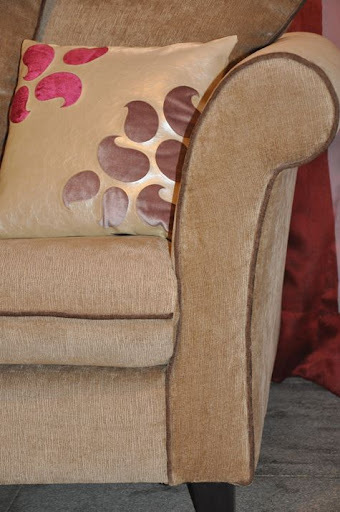 You have the flexibility to mix-and match fabric, or leather upholstery for your furniture. Maybe you find monochromes a tad montonous and would want a touch of zing with a striped or Ikat pattern fabric. If you can’t find one within the store, get one of your choice and they’ll be happy to incorporate it. 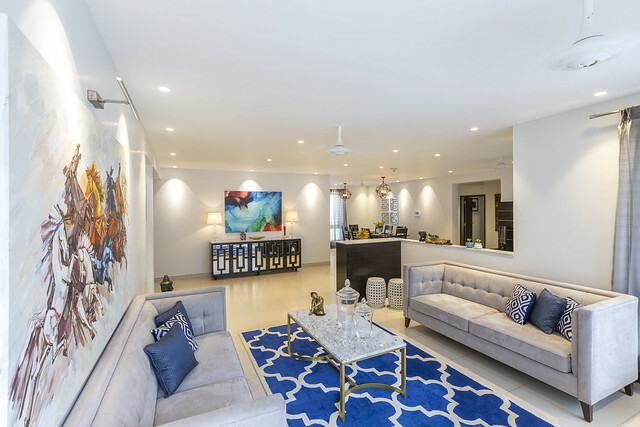 Interior design is one part about selecting the right furniture and a zillion parts about positioning it right in a setting that complements it. The products here are displayed in a decor that reflects their personality: one brimming with enthusiasm and creativity. 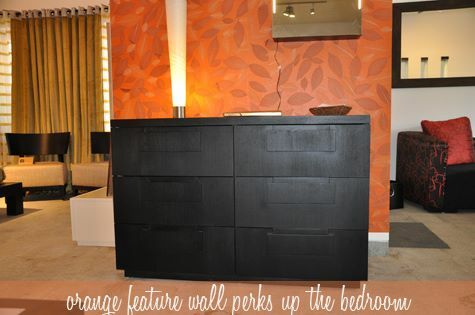 The walls are painted pristine white with one accent wall for every setting, like most of us want it in our homes. 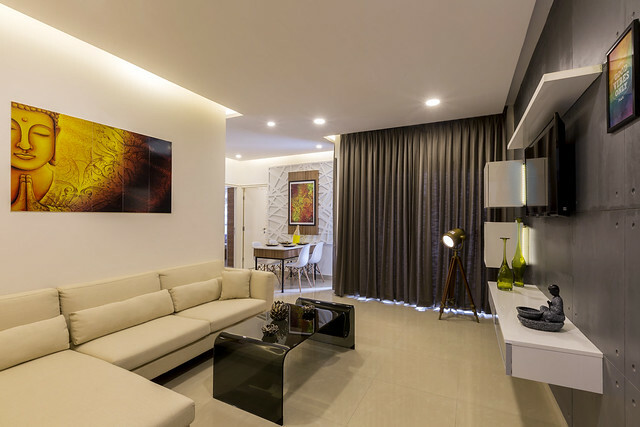 When you do visit, don’t forget to draw inspiration from the store’s splendid design like the orange textured wallpaper in the bed room or the layered green glass wall in the living space. 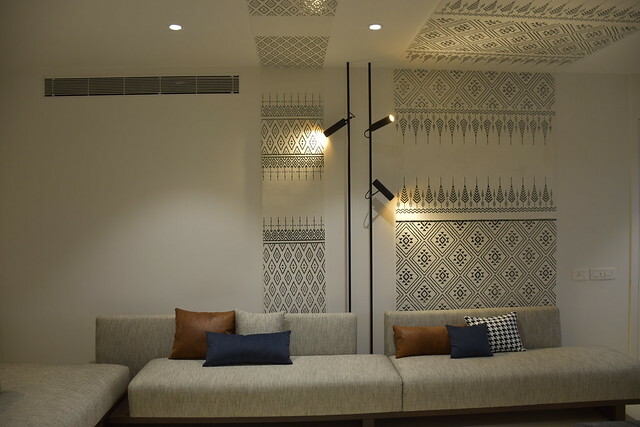 Among the other services offered, the team from Soulscape also design and execute interior projects for residential and commercial spaces. Soulscape has just gotten bigger and better with the newly added first floor section and more collections. 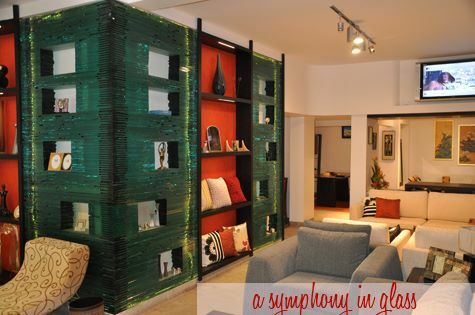 If you’d like to scale up the design quotient of your home, this is the place to go. From Koramangla: Go over the Domlur flyover to connect to 100 ft road and continue until you hit the 12th main signal. At the signal, turn left (sony center corner). It’s midway in this street. From Marathahalli: If you are coming via Jeevan Bhima Nagar, turn left at 12th main on the 80 feet road and continue straight past the signal at 100 ft road. Thats a lovely store… Looks fabulous!! I like the real feel to it as well.. Awesome! thanx for the info!